In 3 1/2- to 4-quart slow cooker, place onion and garlic. Top with pork. In small bowl, mix cornmeal, cumin, oregano and salt; sprinkle over pork and mix well. Add beans, tomatoes and broth; mix well. Stir in corn. Cover; cook on Low heat setting about 30 minutes or until corn is tender. 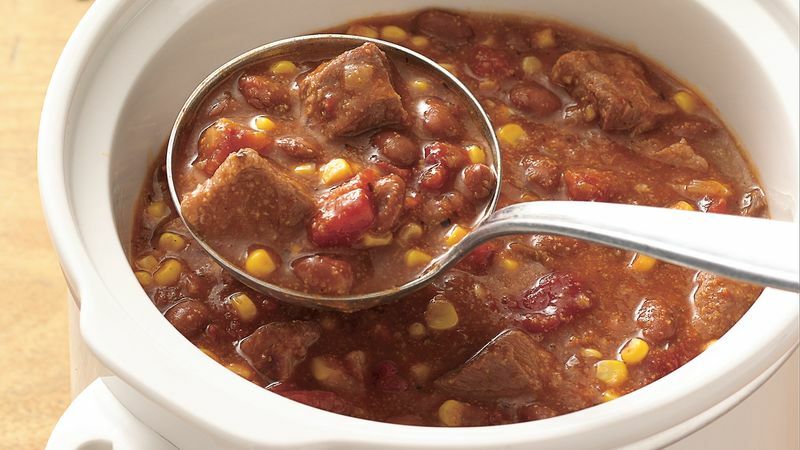 The cornmeal used in this tasty stew not only adds a unique flavor but also acts as a thickener.